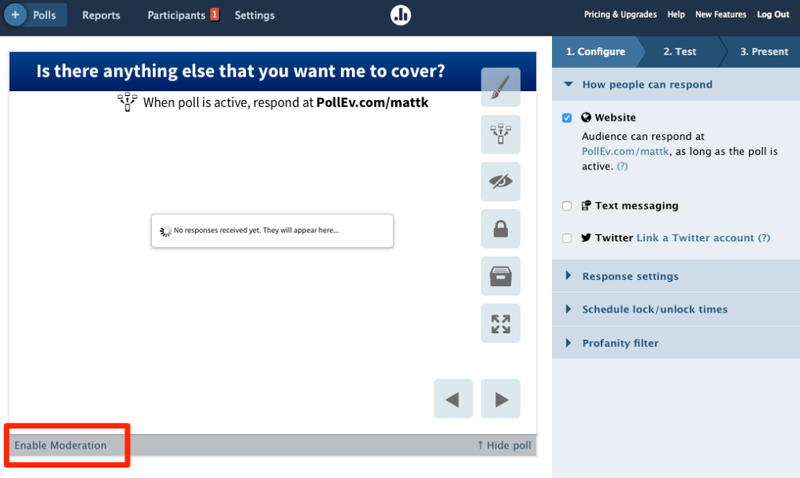 Live Polling offers several models of "open ended" questions. No matter which type of open ended questions you select, the option to moderate the responses is available to enable or disable. 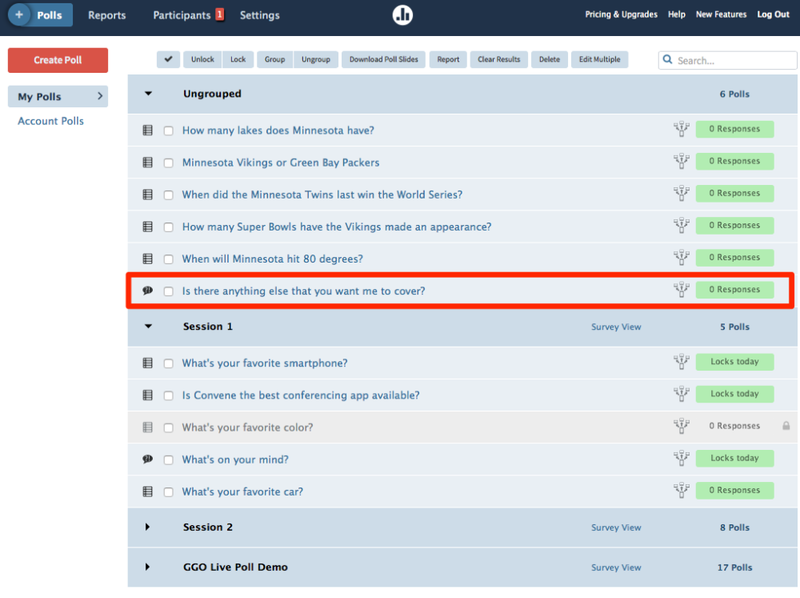 First, select the "open ended" question that you want to modify moderating. 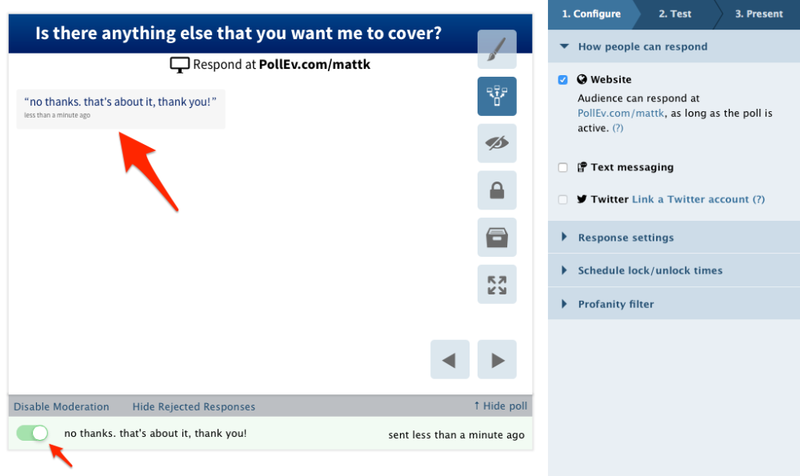 Select the "Enable Moderating" option in the bottom left of the Live Question. Test the Live Question by submitting a response. Move the switch over to the right to make the question Live.